If ya need a better pic than my profile, google "The Tenth Doctor"
Oh and EW, you look like Darth Vader on this pic. As expected by the Doctor. P.S. : And i'm in an really unergonomic position... and maybe i got a horn-cut. aparently s3rius was too busy sucking blood to make an appearance. damn vampires climbing on the ceilings. Photo updated. 3 new members. :o Me and Moz in a fight, and OneTwo is getting dragged in? Wonder who'll win. The other bird seems to be either my mom or is attempting to eat me. Couldn't determine the user it represents, though. I can see the future of this thread once again... lol, pic below... And no, those aren't edited or anything, i seriously got that. 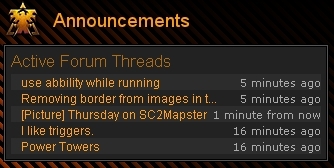 Some forum bug, I stuble upon it sometimes as well.